Disney has revealed more information about the Incredicoaster that will soon open at Disneyland. 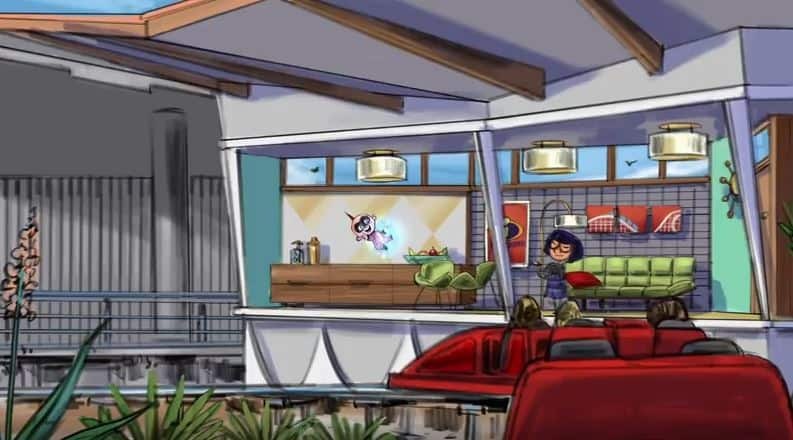 The Incredibles-themed attraction will feature our favorite superhero family as well as Frozone and Edna Mode. Riders will be treated to 6,000 feet of track as they follow the Parr family who are trying to catch a mischievous baby Jack-Jack. Cool effects in the ride include a 53-foot long Elastigirl and whiff of chocolate chip cookies as Mr. Incredible tries to win his youngest son over with a snack.